The FT/IC Investment Awards are voted for by readers of the FT and IC in a series of detailed questionnaires in which they give their views of the providers they use. The providers are scored on a range of issues including ease of contact, commissions and charges, administration, financial security, the quality of their research and the range of services offered. The scores are collated by an independent research house and are used to identify the winners in each category. Denis Sukhotin, Founder of FxPro commented: "FxPro is delighted to announce that readers of the FT and IC selected us over all of our competitors as the ‘Forex Provider of the Year.’ Providing our clients with the highest standards of customer service and research, and the best spreads and pricing in the industry has always been central to our offering. 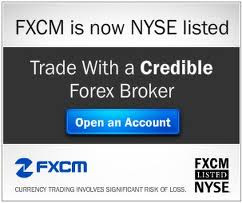 Our goal is to be recognised as the world’s preferred FX broker and this award is testament to that."